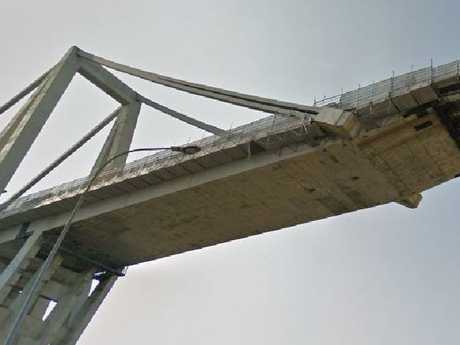 An Italian engineering professor predicted the tragic Morandi Bridge disaster two years ago, warning it needed a significant upgrade. 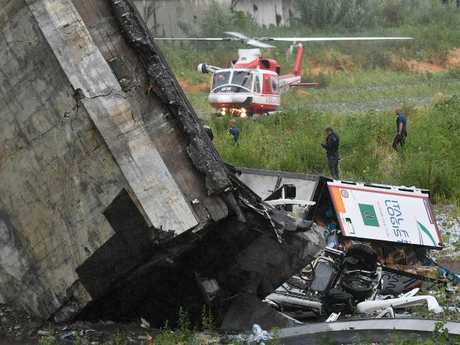 Deputy prime minister Luigi Di Maio said the tragedy "could have been avoided" and blamed operator Autostrade per l'Italia for not carrying out maintenance. The Italian government said it intended to fine the firm $240 million and cancel its licence. 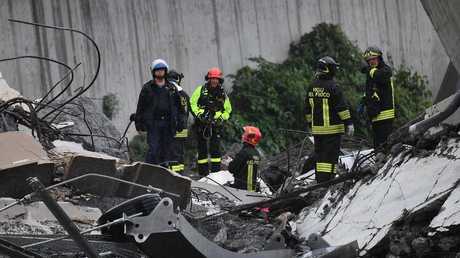 Rescue workers go through the debris of the collapsed bridge in Genoa. "There has been negligence, they underestimated the danger ... we need to find the culprits, it is a scandal." 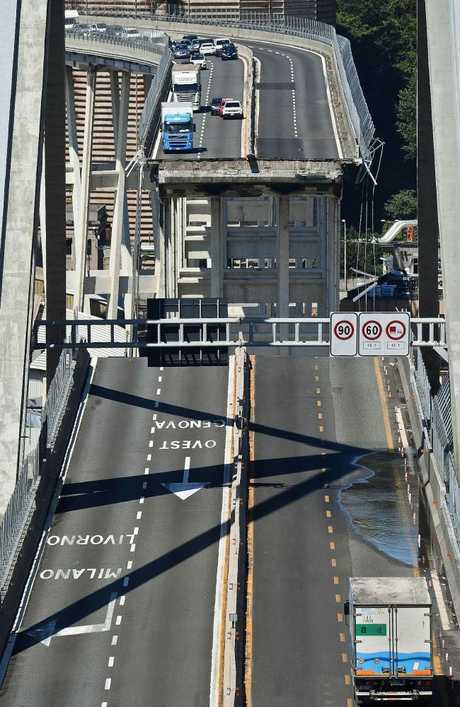 A French lawyer identified only as Leonine by Francetvinfo told the broadcaster that she, her husband and her three-year-old son were entering the bridge when "we saw the pylon go completely to the right, and we realised what was happening." 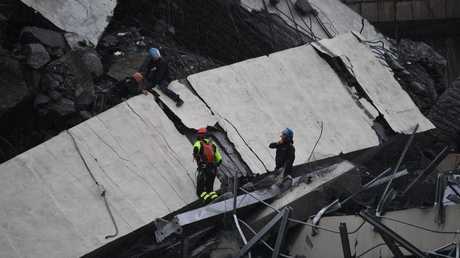 Ivan, 37, was evacuated from a nearby building where he works and saw the collapse. "To see a pylon come down like papier-mache is an incredible thing," he said. "It's been a lifetime that we've known there were problems. It is in continual maintenance. 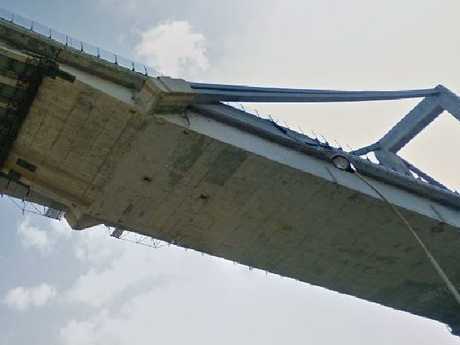 Mr Conte travelled to the site of the disaster yesterday, saying "it is shocking to see the twisted metal and the bridge collapsed with victims who were extracted". 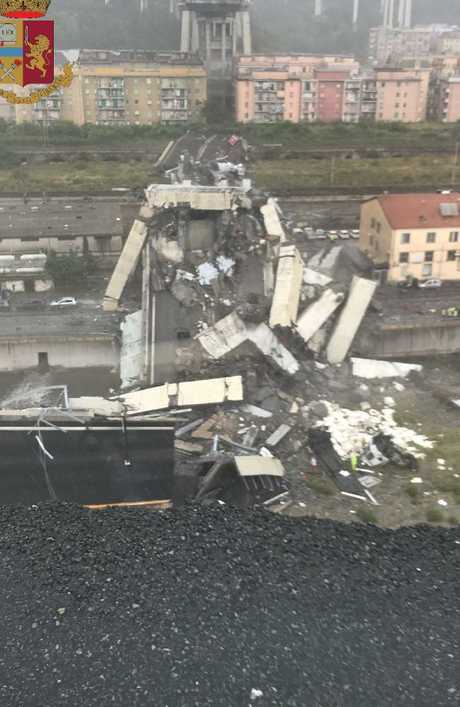 Around 200m of the 45m-high bridge came crashing to the ground in large blocks - along with the cars and lorries travelling on it - in Genoa on Tuesday morning. 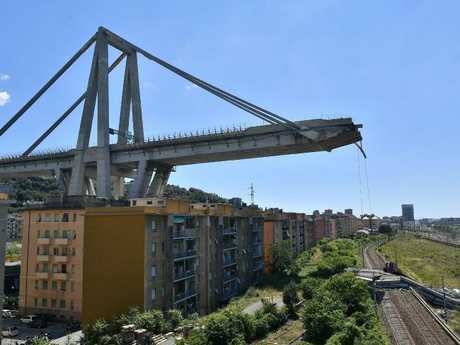 A huge section of the bridge collapsed in Genoa, Italy. Multiple vehicles were involved. 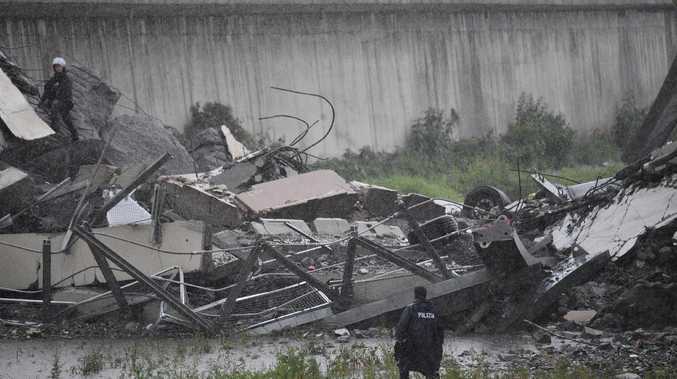 Rescues work among the debris of the collapsed Morandi Bridge in Genoa.